I’ve read about capsules. I’ve admired capsules. I’ve even envied them from time to time. Now I’ve created my own capsule wardrobe for the month of October. 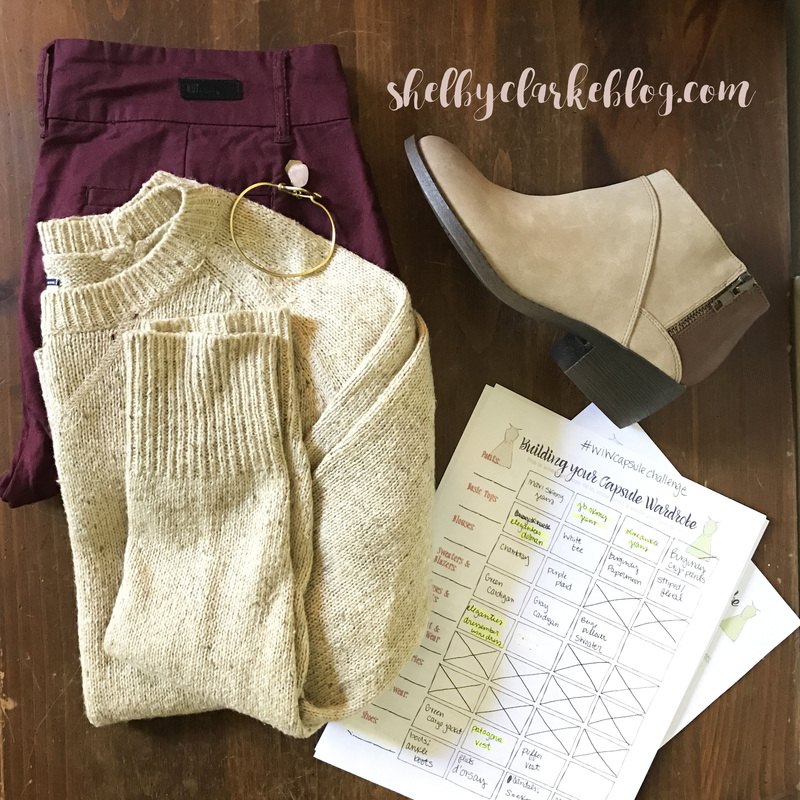 Putting together my capsule: This was tough, so I used the capsule wardrobe sheets from the Dressing Your Best Self ebook, that Kayla created. I narrowed down how many and what kinds of pieces, I wanted. Since this wasn’t a full 3 month capsule, I eliminated a few categories and narrowed a few others. I knew I wanted to wear at least one dress, I really love dresses in the fall. Which is not a popular piece for capsules when looking at them on Pinterest. 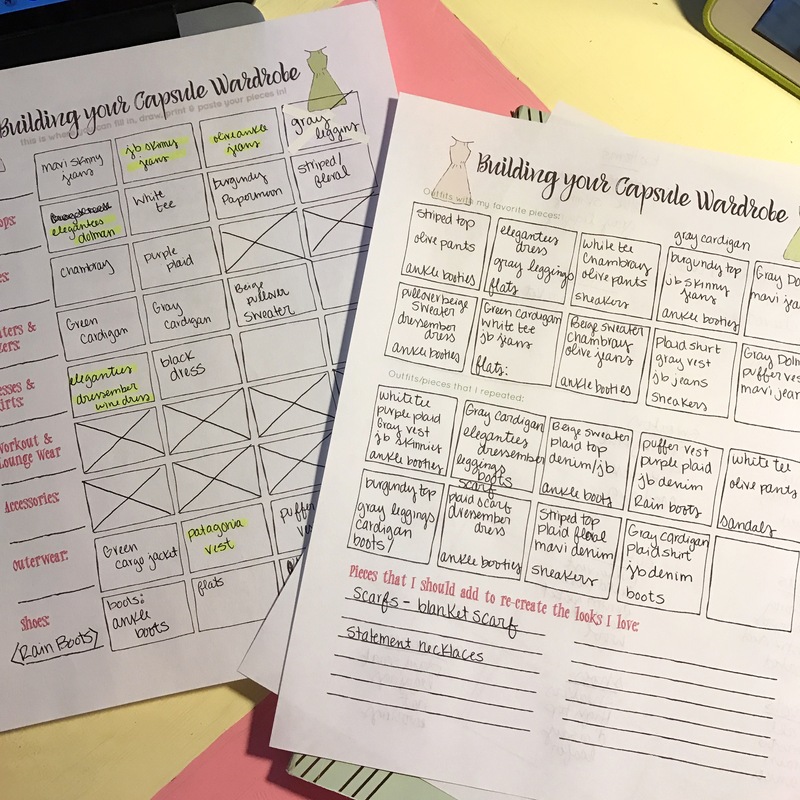 Instead of taking images from Pinterest, I simply scrolled and then wrote what I saw in each box and how it would relate to MY capsule. Kayla on the other hand put all the images on one sheet of paper and wrote down what pieces for each one…we shall see how we are doing next week with each of these techniques. I also moved all the clothes I’m not wearing to another closet. And I’m not wearing anything out of my dresser…it feels incredibly wasteful. I fully expect to revise my closet at the end of the month, permanently purging the things I don’t wear. Struggles so far: Although my closet it ‘limited’ my accessories are unlimited. I gave myself the freedom of all available jewelry, scarves and bags…even though I’ll probably only use my favorites. I want to wear burgundy everyday. My dressember dress shipped monday morning…which means my capsule wardrobe count is about to go up cause I am totally wearing it when it comes in! I’m realizing I didn’t plan for ‘simple’ outfits that aren’t layered with a cardigan, vest or jacket. So I actually have a lot more looks than I realized, since somedays I don’t need a layer.